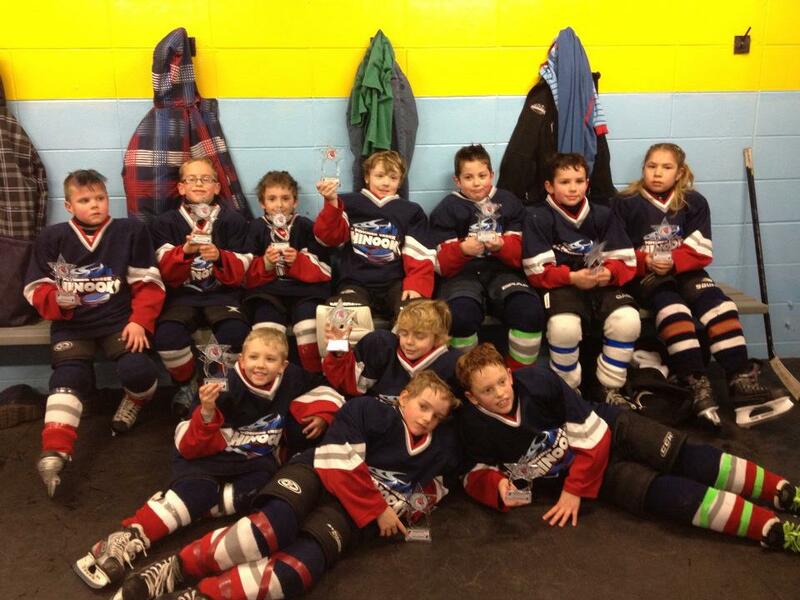 Pincher Creek's Novice 1 Chinooks took first place in a tournament held in Fort Macleod last weekend. They played three games. In their first game they defeated Lethbridge 25-0. In their second game they defeated Calgary 8-2. In their final game they defeated Fort Macleod 12-3. Chinooks' Jaxon Shenton got his first goal of the season during the game against Lethbridge. Pincher Creek's Midget Huskies hosted the Cardston Thunder at the MCC arena on Sunday afternoon, December 18. The Huskies outnumbered the Thunder 18 players to 8, meaning there were more Huskies sitting on the bench than the whole Thunder team. Adding to that disparity, the Huskies are on top of their game, and the whole thing turned into a relative non-event, with the clock being allowed to run from near the end of the second period onward. The Huskies won it 19-1. The lone Thunder goal came from Brenden Many Fingers, assisted by CJ Scout. Huskies scorers and assists - too many to mention. The Cardston Thunder declined the handshake at the end. The Midget Huskies have played 12 regular season games so far, with 10 wins and 2 losses. They are currently ranked third in the Spud League standings. The Crowsnest Pass Peewee Thunder played in Lomond on Saturday afternoon, December 8 against the Lomond Pee Wee Stars. Lomond won by a score of 4-3. Player of the game for the Thunder was #8 Spencer Dorge. Thunder (0) - St. Albert (5) ~ Thunder Player of the Game was #4 Tavin Evans. Thunder (0) - Midnapore Express (5) ~ Thunder Player of the Game was #6 Josh Conley. Thunder (0) - Springbank (6) Thunder Player of the Game was #30 Sean Park. Thunder (1) - Springbank (5) ~ Thunder Player of the Game #18 Taite Jessen. The next Crowsnest Pass Pee Wee A Thunder game is scheduled for December 23,2012 in Coaldale at 11:30 am versus the Coaldale Cobras. Pincher Creek's Senior Huskies hosted the Nanton Palominos at the MCC arena on Friday evening, December 14. The Huskies continue to draw a sizeable crowd, but on this night it was a crowd that went home disappointed after the Palominos romped to an 8-1 win. Scoring for the Palominos were Shane Stewart, Tyson Lowe, Richie Evans, Kevin Martin, Brady Hoetmer, Jeremy Chadsey, and Brady Egger with two goals. The lone Huskies goal came from Wiley Handford early in the third period. Huskies goalie Joel Hasselman was kept busy the whole game, and the Huskies had a hard time even getting near the Palominos' net. The Senior Huskies are scheduled to play an away game against the Lomond Lakers on Friday, December 21, starting at 8:30 pm. After that the Ranchland Hockey League goes quiet until Friday, January 4 when Nanton is scheduled to host the Huskies, game time 8:30 pm. Huskies' Mason Bond and Kevin Olson are at #7 and #10 respectively on the top scorers chart.